I know, you’re probably already reading this post title and rolling your eyes. 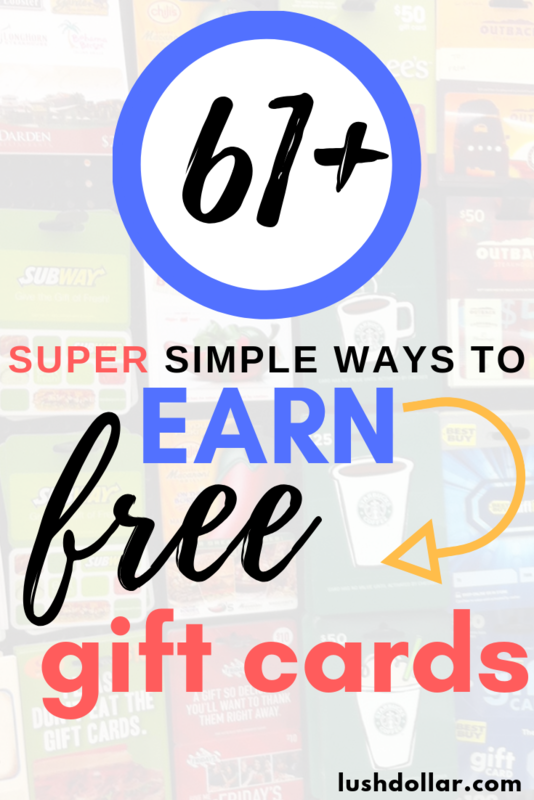 But, what if I told you there were so many legit ways to get free gift cards, even without completing offers? Yes, some will require a pinch of work on your part, but I can promise you that if you attempt these strategies, you could be walking away with at least $5, $10 or even $20 by the end of the day. Even more if you keep at it for the months to come! What’s this work, you’re wondering? Oftentimes, it can be anything from filling out a survey, downloading an app, watching a TV show, searching the Internet or even DOING NOTHING. The list goes on!. Now as much as I want to tell you it’s as easy as filling out your email and name and getting a $50 Amazon.com or Visa gift card for free, this isn’t the case, sadly. With so many scams online, I tried to weed through the junk to list only the best. And if you feel something on this page isn’t reputable, then do let me know as I do not want to promote it and will try to remove it ASAP. And with all of that being said, let’s get started! The websites noted below will allow you to redeem gift cards or even cash in some circumstances just for completing free offers. This can include taking a survey, watching a video, playing/testing games and so much more. Honestly, there are too many ways to list, but I can promise you that while it sounds too good to be true, it isn’t. All of these websites are 100% free to join and have been proven to pay its members with either cash or gift cards. They are all different, so be sure to study the company before applying. I promise there are no scams on this list, but if you think otherwise, then do let me know in the comments! I can’t mention Swagbucks enough, and there’s a good reason you see this company advertised on multiple websites online. Swagbucks will pay you to watch videos, search the Internet, take surveys and so much more. You name it; you can probably get paid for it. Plus, if you join now, they will even throw in a free $5 bonus! You can join and get your bonus by following this link. Have fun and get paid by doing surveys when you sign up with MySurvey. Membership is always free and you can join simply by filling out the following registration form. After you accumulate enough points, you can then cash out for a variety of rewards, including gift cards, money and much more. Said to be the world’s number one paid survey website, the company has paid out more than $32 million worldwide! Quite possibly one of the biggest offer websites on the Internet, MyPoints will reward you with free gift cards in so many ways. Whether it’s shopping, discovering deals, watching a video, playing games or even booking your next vacation, you might as well get rewarded for doing a lot of things you’re already doing. Joining is 100% free and you could be earning MyPoints in less a few minutes. Earn instant rewards with Earnably from your favorite retailers, including Steam and Amazon.com gift codes, to name a few. Head to the main website, scroll down and glance at the rewards before you even join to see how much you can earn if you wanted to know before handing over your personal information. For example, right now as I write this, you can earn 80 points in as little as four minutes, and this is just one of the MANY ways to earn. It’s completely free to use and the company works with more than 30+ partners. Proudly proclaimed on the main website, GrabPoints wants you to “earn gift cards” by watching TV, answering surveys, completing offers and even downloading apps. The company, like many of these, will give you a FREE $5 if you sign up. It’s free to join and once you do, you can be earning free gift cards from popular companies such as Roblox, Fortnite, Steam, Apple Music, Facebook and so many more. Honestly, there are a ton of redemption options, so I recommend you check out the main website to see what you can redeem your points for. As the name states, instaGC wants to give you gift cards INSTANTLY by completing offers. This includes downloading apps, clicking on websites, watching videos, performing tasks, shopping and so much more — just like the few I already mentioned. Every point you earn will equal $0.01 and you can earn even more by referring your friends. While it doesn’t sound like a lot, there are offers for far m ore than 100 points, meaning it’s quite easy to reach a few dollars in no time. Joining is free and your free gift card rewards are delivered instantly after your points are confirmed. iRazoo has hundreds of ways to earn points, in which you can then redeem at their Rewards Store. Whether it’s completing an offer, watching a video or testing out a new app, there are hundreds of offers, including daily goals that will keep you coming back. Popular rewards, according to the website, include free Barnes and Noble, Bed Bath and Beyond, iTunes, Starbucks, Target, Home Depot and Walmart gift cards, to name a few, with a list that’s always changing. IF you want to join, use the invite code 7S6JUT to get a FREE 500 points, getting you 20% closer to a free gift card. If you do not use the code, you will not get the free 500 points, however. Joining Perk is 100% free, and like most of these websites, the company will reward you in either points or tokens to watch a video, take a quiz, playing trivia, searching and so much more. Glancing at the dashboard when I signed up, the company offered quite a few deals. Plus, every day, you can take advantage of the daily tasks, including scratch-off cards and watching the LIVE! show, for example. Quite unique from the rest, I definitely recommend adding this website to your offer portfolio to increase your gift card balances. PrizeRebel offers so many ways to earn free gift cards. From surveys to offer walls, videos, daily point goals, tasks and so much more, the company has hundreds of tasks to keep you busy throughout the day. Plus, the more details you offer the company on your profile, the more offers you could receive on your dashboard. This can be said about a lot of the survey-like websites. Signing is 100% free and the gift cards are truly endless, including some favorites such as Subway, Applebees, Facebook, Dunkin Donuts, Victoria Secret, Nintendo eShop as well as the many others I mentioned on this guide! In the past, I actually wrote an in-depth review on PrizeRebel from my personal experiences if you want to check it out. Get paid to take daily surveys, watch videos, explore websites and so much more. Once you build up enough points, you can then redeem it for your favorite store gift cards, including Walmart or Amazon. It’s easy, fun and the company, while I was writing this, is offering a free $5 bonus when you sign up today! EarnHoney will offer you free gift cards for the things you’re already doing RIGHT NOW. Whether it’s shopping, playing a game or taking exclusive surveys, the company has been ranked as one of the best ways to make money online, according to MSN, Business Insider and the Huffington Post. Joining is free and the minimum redemption is only $1, meaning you can get paid as early as tonight! If interested, you can read my in-depth review here if interested in learning more about them. Earn gift cards or cash if you so choose by watching videos, playing fun games, answering surveys and even searching the web with Gifthulk.me. Then, when you earn enough “Hulk coins,” you can redeem them for free gift cards from your favorite retailers such as Amazon, Lowe’s, Walmart and Steam, to name a few. Joining is 100% free and is yet another online company that wants to reward you for performing hundreds of tasks. GrindaBuck offers more than 15 offer walls, in which you can be rewarded to view ads, take surveys and even test out new products. There were a TON of offers when I checked this site out. Once you reach $10 in points, you can then redeem it for free gift cards from popular retailers such as Amazon, Walmart and even GameStop. For a limited time, you can join and they will throw in a free $1 to get you rolling. The Microsoft Rewards program is one of my favorites and as long as you use Bing as your search engine and check in daily to answer questions, you can earn quite a few points, which can then be exchanged for some cool gift card options, including Amazon. Signing up is free, and yes, the program is operated by Microsoft, not something third-party company you never heard of. Whether it’s a simple search on Bing or answering a trivia question, the points add up fast and every day, you have the potential to earn hundreds of points every day. Be sure to check out my in-depth review to see how it works! To earn money, just like the others I listed, you complete free offers, surveys, join surveys and even be paid to shop. All payments and rewards are 100% free and members can choose from a variety of free gift cards as payment, including Walmart, Amazon, Target and so many more. With Volkno, you can watch and rate videos for new movies, TV shows and so much more, helping to make an impact on which shows get released. Simply watch videos, offer your feedback and the company will offer you gift cards in doing so. As long as you give quality feedback, you can earn more points and even exclusive access to content. Registering is free and is highly recommended for those who want to watch new potential releases. I know survey-based websites can be exhausting to hear about, but if you truly want free gift cards, this is one of the best ways to earn them legitimately. Plus, taking a survey is just as it sounds — answer some questions, get rewarded for your time and cash out when you reach the company’s redemption limit (they all vary). And the great thing about these survey sites is that they are adding new surveys almost daily. When taking surveys, the more companies/websites you join, the more offers you can receive in the email, greatly increasing your chances of really stacking up the gift cards. It’s not unheard of to see people make $100, $200 or even more per month just by taking a few each day. While you may already be members of some of the companies I’m about to list, you may find some you haven’t joined already. If this is the case, try to join as many as possible to greatly increase your chances at earning the gift cards you want without spending a dime. Said to be the most popular place to earn rewards online, Survey Junkie will pay you in free gift cards to share your opinions. Also, as you build your profile, the company will match you to particular surveys and reward you with virtual points as you complete them 100%. I wrote about this company in depth in the past, so be sure to check out my review! Once you build up enough points, you can then redeem them for free gift cards such as Target and Amazon. Joining is 100% free and only takes a few minutes to join. Earn rewards for taking surveys, all while learning something new in doing so. It’s free to join and to get started, follow this link, register and check your email to get started. Once you earn enough points, you can then cash out for free gift cards from your favorite retailers such as Kohl’s, Macy’s and Amazon, to name a few. Honestly, the list is quite large. Rewarding more than $30+ million, GlobalTestMarket is said to be one of the fastest ways to make money online. 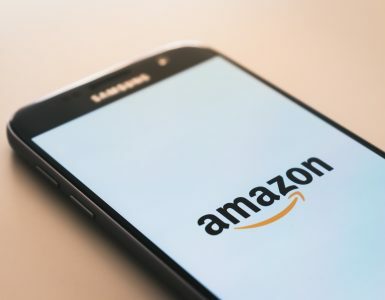 Springboard America will reward you with what’s known as “Survey Dollars,” in which you can eventually cash out for Amazon, iTunes, Google Play credits and so much more. Since 2009, Springboard America, operated by the MARU Group Canada, has served thousands of panel members and has pretty decent reviews online. Join today for free, and the company will automatically enter you into a $1,000 grand prize draw just for joining. Not only that, complete profiling surveys and additional tasks and Springboard will enter you into additional sweepstakes to help you earn even more. If you’re interested in helping media, government and big-name companies, Springboard is one to consider to exchange your time for free gift cards. 1,000 of organizations trust YouGov, a community which will reward you to help answer simple questions and surveys. 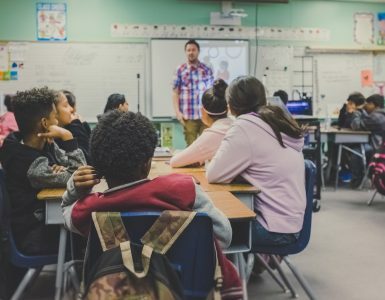 What makes them unique as well is that you can express your opinions about interesting topics, sometimes even getting your opinion featured in MAJOR news outlets. Plus, it’s a fun way to keep in the loop on current trends and let your voice be heard! Joining is free and the more you share your opinion, the greater your balance becomes, which you can then turn into many gift card options or even cash. Take surveys and earn points with Branded Surveys and the more you share about yourself, the more surveys you can receive. Working on the behalf of Fortune 500 companies, Branded Surveys needs people like you to share your honest feedback. In exchange, you can then cash for multiple rewards, including free gift cards. It’s simple, easy and free to join! Take quick surveys via email and share your feedback on products you’re already using with Univox. Joining is 100% free and as I’m writing this, the company will even give you $2 just for joining. Once you earn enough “Univox Rewards,” you can then cash out via Paypal or redeem for a free Amazon.com gift card! Take online surveys with Opinion Outpost and the company will reward you in doing so with multiple gift card options ranging from Amazon to iTunes. Plus, the company gives you the opportunity to win $10,000 in their quarterly prize draw, one of the highest offerings of all survey companies I researched. Sign up for a free account, tell them as much as you can about yourself and wait for the surveys to arrive in your e-mail inbox. You can learn more about the company in my detailed Opinion Outpost review as well. Sign up with tellwut and they will reward you with free gift cards whenever you answer surveys and even refer friends. With a variety of options added every day, most of the questions I played around with took less than a few seconds. For example, answering a poll question could earn you 5 points, while taking an extensive survey could earn you even more. It’s free to join and is a great option to add to your list of companies if you want to earn even more. When you share your opinion with Ipsos i-Say, you can earn rewards in doing so. With more than 3 million members as I write this, Ipsos offers a variety of gift card rewards, including Amazon.com, Darden Restaurants, Starbucks, Uber, Home Depot and PlayStation Store, for example. The list was HUGE. Joining is free and it’s a great way to have fun and experience something new every day. Yes, operated by Google, the search engine we all use every day, this app will reward you in Google Play credits just for answering simple questions. To start earning, download the app and wait for the app to alert you in regards to a survey. This could be anything from rating a hotel you just stayed at or talking about your spending activity at a particular retailer. Basically, it will track your movements throughout the day, and if you visit a particular location, it may trigger the app to ask you a question. While I have personally used it and earned about $5 to $10 a month, it can add up if you make it a habit to answer the questions anytime it alerts you. iPoll will reward you to tell them what you think about a product and the services you use every day. As an online mobile community, earning points are easy. Simply answer questions about a specific product or service and you can earn points toward your favorite gift cards, including Amazon.com and iTunes. Plus, if that’s not enough, you can even enter to win a $10,000 cash prize EVERY quarter. Joining is free and you can sign up here. Sign up, take online surveys and make money. It isn’t any easier than this, as the company states. Join now and PointClub Surveys will even throw in a free $5 toward your next redemption! It’s free to join and you can redeem your points for gift cards from popular companies such as Xbox and Walmart. Toluna will reward you by influencing the world and working with some of the biggest brands. As an online community dedicated to making your voice heard, you can earn rewards by completing surveys and sharing your thoughts with the company. Earning points could something as simple as answering a poll question to writing feedback on a product you received. And once you earn enough points, you can then redeem it for free gift cards from so many brands, including Redbox, Chili’s, Starbucks, Groupon, Petco and many more. Valued Opinions is a market research panel which will reward you to take online surveys, often sent to you via an e-mail invite or appearing on the dashboard when you log in. Generally, most of these surveys will pay $1 to $5, but some may be unpaid to help learn more about your demographic. Performing these unpaid surveys, however, could lead to more survey opportunities in the future since the research companies will know more about you. As with any survey company, I highly recommend you fill out your profile completely so you can receive as many targeted offers as possible. Once you reach $10 in rewards, you are then able to cash out for many rewards, including multiple gift cars, such as Nike, Southwest, Amazon, CVS, Macy’s, Restaurant.com and SO many more. As this subheading implies, the following companies will pay you in either cash or gift cards to simply take a picture of a receipt. And yes, in some cases, it could be ANY receipt. All of these apps will have their own restrictions, but for the most part, it’s pretty straightforward as they will tell you what you need to do once you sign up and join. Sign up for as many as you can and be sure to save your receipts to upload when you have the time. By far, Ibotta is the biggest receipt scanning app, and while there are some restrictions as to what you can upload, the cash payout potential is HUGE. Download the app, find offers of interest, and if you purchased an item on the offer list, then you can take a picture of the receipt and get rewarded in doing so. To date, the company has paid out more than $438 million and is showing no signs of slowing down. It’s one of the biggest companies around and is considered to be very reputable. If you’re going to be grocery shopping, you might as well get cash back when buying the products you already planned on purchasing. And if you like the idea of Ibotta, be sure to read my 20 apps like Ibotta which can pay you in a similar way. Working a lot like Ibotta, BerryCart focuses more on organic, gluten-free items. Download the app and find deals on the best organic foods in your area, all while learning about the product. If you purchase an item, you can then upload your receipt and get credits toward a free gift card. Highly recommended if you often purchase organic-based products. Fetch Rewards will reward you by simply snapping a picture of your grocery receipt. Unlike other apps, there are no limitations, no need to clip special offers and you do not have to worry about missing out on savings. To start using, you can scan ANY grocery receipt and in doing so, the company will reward you with free gift cards, ranging from Sephora to Best Buy, Dell, AMC, Foot Locker, Banana Republic and SO many more. Receipt Hog lets you snap any receipt from ANYWHERE and in doing so, you can get rewarded with “coins,” which can then be redeemed for free Amazon.com gift cards. Aside from snapping pictures, you can also earn coins by playing the Hog Slots, taking surveys and even entering contests, which can greatly increase your chances at landing even more coins. It’s free to join and has more than 75,000+ reviews on the Google Play store with a 4.5/5 average rating. A lot like Receipt Hog, the Receipt Pal app will let you earn great rewards by simply taking a picture of a receipt. 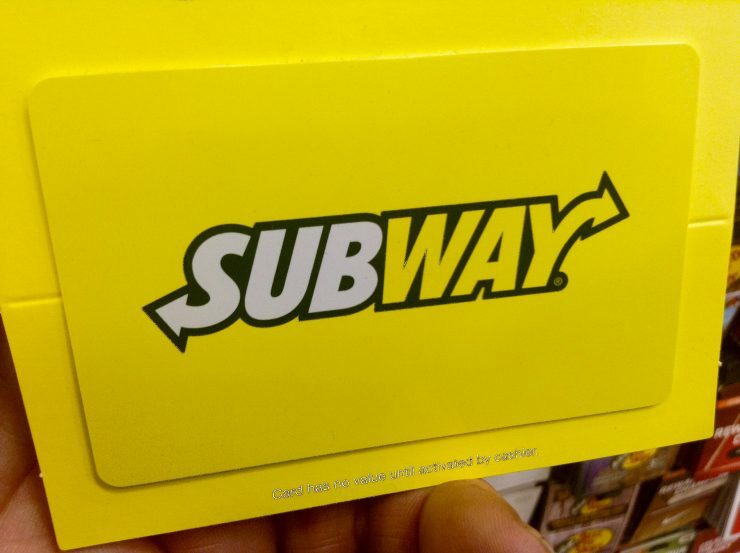 Submit a photo of a paper receipt or even an e-receipt and you will earn points, which you can then turn into great rewards such as free gift cards. Members are also able to enter weekly sweepstakes as well. Joining is free and I highly recommend you join as many of these receipt uploading websites to really capitalize on these rewards! They do add up, trust me on this one. The strategies I list below will all come in the way of downloading an app on your smartphone. Then, depending on the app you’re using, you will be asked to perform a variety of tasks, whether it’s taking a survey or simply checking into a store. After you complete the offer, you’re then rewarded with points, which can then be redeemed for free gift cards. AppBounty works by visiting the website on your smartphone device and completing offers on your dashboard. This could range anywhere from downloading a new hotel app to trying out a new game that just hit the market. Then, once you earn enough credits, you can cash out for popular gift cards such as Amazon, Xbox, iTunes, the PS Network and so much more. If you want 50 credits for free, feel free to use my invite code, hetwazfs. Hey, it’s free money! appKarma will reward you by downloading new apps and trying it out, and the longer you keep the apps on your phone, the more rewards you can earn every day. But, you may be wondering why this app is better than the rest? Well, according to the company, they offer gift cards outside of the United States, they give you 5% of your points back whenever you redeem and they say they have the highest paying opportunities. If you want 300 points for free, be sure to enter my invite code, lushdollar. In order to get “Nanas,” the website’s form of currency, you will be asked to download apps and try them out for a limited time. Once confirmed, the company will reward you and allow you to eventually cash out once you earn enough “Nana” points. You can even earn points just for showing up each day! The app is FREE and if interested, you can use my invite code — t28115305 — to earn 10,000 points! You can only earn this crazy bonus if you use this code. Scan barcodes while inside of a store and get rewarded for doing so with the CheckPoints app. Whether it’s at the mall, grocery store or a restaurant, the app will tell you what you need to do and as long as you follow the simple directions, they will reward you in doing so. The company also offers big rewards where you can win thousands of points via the weekly raffle options as well. Signing up is free and is yet another way to earn points while out and about. Just be sure to open the app whenever you’re nearby a few stores! Lucktastic is a pinch different than most of these apps since you will have to test your luck with lottery-type scratch off cards. Just like the real lotto, you will have to match 3 symbols, etc. Test your luck every day and scratch off the cards to win real money, trips and over 50 gift card prizes that are given out daily. While you’re not guaranteed a free gift card using this app, it could be a decent choice if you want something different. Collect points by downloading amd testing out cool new apps with the “Mobvantage Cash for Apps” app. Like AppNana, if you’re a fan of trying out new apps and want to get rewarded in doing so, then I highly recommend you check this one out as well as it’s pretty easy to build up your points. With a TON of retailer gift cards to choose from, some names include Skype, Best Buy, CVS, eBay, Old Navy, Gap, Columbia, as well as the other retailers I listed as well throughout this guide, such as Amazon and Walmart. Said to be the “simplest” way to earn free gift cards, the Gift Wallet app will reward you to play games and complete various tasks, just like the others I listed above. Aside from this, the app also rewards you with daily bonuses and lucky spins to win even more, simply meaning you should check in as much as possible to really capitalize. With the Quick Thoughts App, you can make your opinion count by taking surveys to help improve the goods and services you’re already using. With a four-star rating on the Google Play store, the QuickThoughts app helps you earn real rewards such as Amazon.com gift card claim codes. Once you hit $10, you can cash out. And with the average survey paying you close to $3, it won’t be hard to do! Quiz Rewards is a free quiz game where you can earn “loyalty points” by answering quiz questions. According to the app description, the longer you play the game, the more points you can earn. And the more you check in daily, the more you have the potential to earn as well. If you’re a fan of trivia, then you may want to give a shot and check in daily to earn great free gift cards. Shopkick is a pinch different than the other apps I recommend in this section as it’s primarily based around the stores you’re visiting while you have your phone on you. The app will reward you to simply walk into a store, scan barcodes on items and even scan your receipt if you made a purchase. A lot of the times, you don’t even need to make a purchase! What’s known as “kicks,” the more you earn, the more you can redeem in the rewards store, including gift cards from popular retailers. If you want 250 kicks for free, then use the invite code NICE645299 and check into one store for your 250 kick bonus! As you do, you will receive great rewards, including free gift cards, exclusive discounts and even free food. Joining is free and the company has 9,000 reviews with a 4.2/5 average rating. The BigCash app allows you to earn free gift cards by downloading apps, playing games and even completing surveys. With the company stating it only takes a few days to earn a $15 gift cards, the equivalent of 2,500 coins, they claim they are one of the highest paying apps in comparison to competitors. With guaranteed super fast payouts, you can choose from Google Play, Amazon, iTunes, PSN, Steam, and Xbox gift cards, to name a few. If you’re already shopping at Walmart and haven’t downloaded the Walmart Savings Catcher, then I highly recommend you do so as it’s an extremely easy way to get free Walmart gift cards. Each time you shop at Walmart, simply scan your Walmart store receipt and that’s it. If Walmart finds a price cheaper at a nearby competitor, they will then refund you the difference to your app in the form of a Walmart gift card. Again, it’s SUPER easy to use and only requires you to upload your receipt and that’s it. Depending on what you purchase, your results will greatly vary as to how much you get back in credits. Well, if you’ve read other posts on here, you know I don’t work that way. I really want to share LEGIT ways to make money online. Apps online will pay you to simply use their app as your lock screen and/or while you are charging your phone. In another case, one app will pay you to just download a piece of software. Simply download the app, let them display ads while your phone is doing one of the above and they will reward you! There is no participation required, I promise you that much. It won’t be much, but hey, if you’re going to charge your phone anyways, you might as well earn a few gift cards in doing so, right? Do note that you can only download one of these, and while I do not have my own favorite, I just recommend you play around with a few to find one that works for you. Join MobileXpression and you can earn a gift card in as little as a week. In fact, in order to receive it, all you need to do is download the software and stay active for at least seven days to earn a $5 Amazon gift card. You don’t have to do anything but download the software. But, if you continue to keep the software activated, you will continue to earn additional credits each week, which can then be redeemed for even more gift cards — about $5 a month from what I read. Joining is free and to earn, you just need to download and that’s it! Giftloop, known as the “Free Gift Cards” app on the Google Play/App Store, will reward you to use their app as the lock screen and/or take surveys, apps, videos and more. But, the thing I like about this app is that you can run it while charging your phone or having an ad display on your lock screen. In exchange, they will reward you with points in doing so! They even have daily raffles where you can win great prizes. Whether it’s a Netflix, Amazon, Walmart or Paypal gift card, payouts are 100% fast and extremely easy to earn. Signing up is 100% free and is a great way to earn gift cards by doing almost nothing if you solely use this app for your lock screen or while charging your phone. The BillsBoard app allows you to customize your lock screen to showcase only the features you want to see, such as the date, current weather and more. Like all of these lock screen apps, you can check the news for more points, or if you simply want to open your phone, then you can do that as well. No interaction is required. Regardless of what you do, as long as the app is active on your lock screen, you will be rewarded in doing so. Once you earn enough points, you can then redeem it for free gift cards — all for doing NOTHING. Get money from your Android phone when you do nothing with the CashMagnet app. According to the website, you do not have to perform tasks, watch ads or play games, and for every five minutes the app runs, the more money you will receive. Earnings will come in an absolutely autonomous and passive mode and when you earn enough, you can cash out for awesome gift card options, including Amazon, Steam, Playstation and even Paypal. For most, as long as you use the app for at least two days, you can start your redemption process, according to the company’s FAQ. This is no joke and signing up is free. Simply download and watch the money roll in! As an award-winning lock screen app, Slidejoy will give you cash to not only unlock your screen, but they will also pay you to check out the trending news for the day when you open your phone. To get rewards, you can use your phone as you always would and engaging with the ads IS NOT necessary. It really is up to you. If you truly want to get rewarded for doing nothing, Slidejoy is, by far, one of the easiest ways to do so. S’more is a lock screen app which will help you earn points in exchange for allowing the app to place ads on your lock screen. Every day, the app will give you points as long as it’s active, regardless of how many times you use it. That’s right, you could just let your phone sit for 24 hours and NOT even touch it and you’re going to get rewarded. If you want to earn even more, the app also allows you to complete offers and surveys to increase your points balance. To learn more, you can check out the app here. If you’re looking for free gift cards but you don’t want to take a survey, then your next best bet is by using cashback portals online. These portals will reward you for doing the shopping you already do online and it works with almost ALL retailers. You would be amazed at how many retailers work with these companies. To use these websites, you will simply log into your account, find the retailer you want to use, click the special link and shop. And once your purchase is confirmed, you will get the specified cash back. So for example, if one website gave you 8% cash back when you shop at Kohl’s, and you spend $100, that cashback website will give you $8 back just for using their link. Without a doubt, Ebates is one of the largest cashback shopping portals, and just for joining and making a purchase, the company will throw you a FREE $10 Walmart gift card or cash bonus — it’s your choice. As one of my favorite, always be sure to check out Ebates first as they often have the best cash back rates, but it doesn’t hurt to check out some of the additional companies I mention below if you want a free gift card just for shopping. Yes, it’s basically free money since you were going to shop anyways, right? There are a ton of these types of websites aside from the popular ones mentioned above, so I will list even more below you may want to check out and will just link to them since they all work in the same way. Keep in mind, however, that some may not have a free gift card option, but almost all will have a Paypal option, though. Regardless, you will get rewarded for doing your shopping. If you plan on shopping at Amazon, always make it a habit to check out their gift card page, even if you’re making the purchase yourself. A lot of times, if you reload your card, they will often throw in a bonus, usually around 5% more. And yes, you can use the gift card right away. In essence, this could be a free $5 for every $100 reloaded, for instance. Generally open to Prime members, just check out this link to see if you qualify and the next time you need to make an Amazon purchase, it may make sense to buy the gift card first to earn some quick bonus cash. As long as you’re responsible and pay your credit card bill off in full each month, this is one of the easiest ways to pile up the gift cards. If you’re not using a credit card that’s rewarding you, I highly recommend you find a credit card that does, particularly one that has no annual fees (unless it makes sense) and the best rewards tier. Again, as long as you pay your credit card in full, you can avoid credit card interest and get 1%, 2% or as much as 5% back on each purchase you make, which can then be redeemed for a gift card, depending on the credit card you sign up for. As every credit card has its own reward tiers, plan on making at least 1% back in your purchases, simply meaning you could get $10 back for every $1,000 you would have spent anyways! Although not guaranteed, this is yet another way to find free gift cards and will take very little effort. In doing so, you should be able to find quite a few giveaways each and every day. Aside from social media, a quick search on Google could yield some results as well. If searching, though, just make sure you look at the most recent results to ensure the contest is still valid. That’s no problem as some websites, such as Blog Giveaway Directory and GiveawayPromote.com, did the dirty work for you. And by making it a habit to join five to 10 a day, you can really increase your chances at landing one! Gift Card Granny will reward you when you join Granny Rewards and purchase gift cards from participating partners. Even if you do not want to want to purchase gift cards at the moment, the company has a bunch of additional ways to earn points which do not require a gift card purchase. Whether you want to check out the offers and/or buy a gift card, do keep Gift Card Granny in mind to get a percent back in rewards for the gift cards you already planned on purchasing. Do you need constant prescriptions or have one to fill in the future? If you’re not loyal to your current pharmacy, see if any competing pharmacies in your area are offering a deal to get you to transfer. In most cases, almost all pharmacies will reward you in a store gift card just for transferring your prescription to the new pharmacy. Generally, you can find this information by visiting the pharmacy’s official website or checking out deal websites such as Slickdeals.com. Car dealerships commonly offer promotions where they will give you a gift card just for test driving a new car. Yes, and NO strings attached. AND most don’t even care if you don’t have a genuine interest as the car companies want you to test out the newer car models. While your results will vary, to find these deals, either search for something along the lines “test drive a car for a gift card” or check out Slickdeals.com and use the search function to see if any active deals are here as well. If you spot a deal worth your time and you don’t mind going to the dealership, just be sure to call ahead of time to ensure the deal is still active/valid! If you do end up going, plan on spending up to two hours there and be prepared to listen to a sales pitch. We all know how car dealerships work, right? These apps are said to generate free gift cards in increments of $50, $100, $200 or in some cases, even $500! If it was as easy as clicking a button and making a quick $500, how are these apps making money? How would it even work from a business standpoint? Well, the jokes on you. These apps collect your data, make money when you watch the ads and you click the button in hopes of getting a gift card which never comes. And yes, even if the app has great reviews, these reviews were “faked” to create the illusion of being a great app. In the end, DO NOT download a gift card generator as these apps are not scams and WILL NOT reward you. In the end, there are SO many great ways to earn free gift cards online, but I just want to warn you that there’s no easy way to make a lot. Sure, you can download those lock screen-type apps or even download a piece of software, but honestly, you will probably earn $5 or $10 AT MOST throughout the month. In my opinion, joining some of the offer websites or survey companies are generally your best bet, and as long as you make it a habit to check in daily, it’s not too hard to accumulate $100+ in gift cards. After a while, you will find out which survey company works the best since each one works in a different way based on your geographical profile. From there, you can stick to just those to maximize your time and earnings. I will continue to add more resources as time goes on, but in the meantime, if you know of any that are honest and reputable, do let me know!